The products you use are great ! 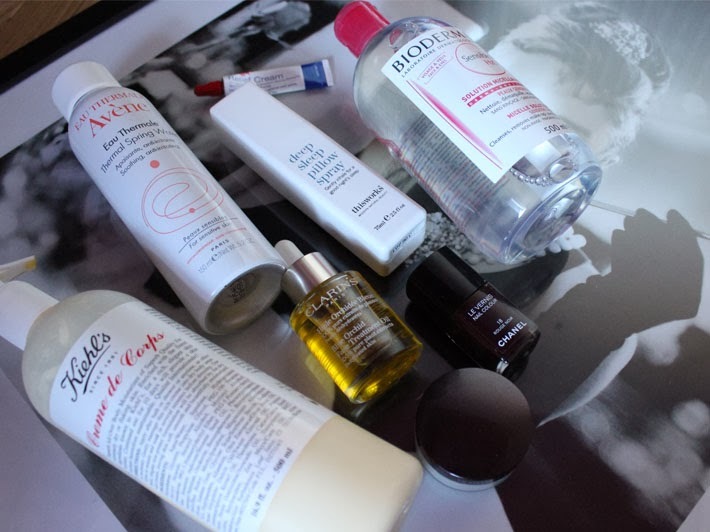 Love Avène and Bioderma ! Me too! Do you try anything else by them? I wanna try other things but not too sure what to pick. YES! It really is. Have you seen the Into The Gloss video with Isabelle Bellis? That's what convinced me to get it, it really leaves your skin super soft! That's what I did! It lasts quite a while actually. It's so lovely in summer though. Like heaven when you're all red and burny, haha! Thanks Fernanda! It's glorious, isn't it! I just love it... How did we all live before it? Haha. I think that your little review of the deep sleep spray might have just pushed me over the edge! I suffer from anxiety and insomnia as well - have done for years - and am finding it really hard to get to sleep these days. So anything that might help!